A new shop opened in our town centre yesterday so I thought I’d pop down and see what it sold. I think it’s called Toolbox.co.uk or something like that, which is strange as it didn’t seem to sell any tools. There was a small cut-price book section with a few military books on offer. 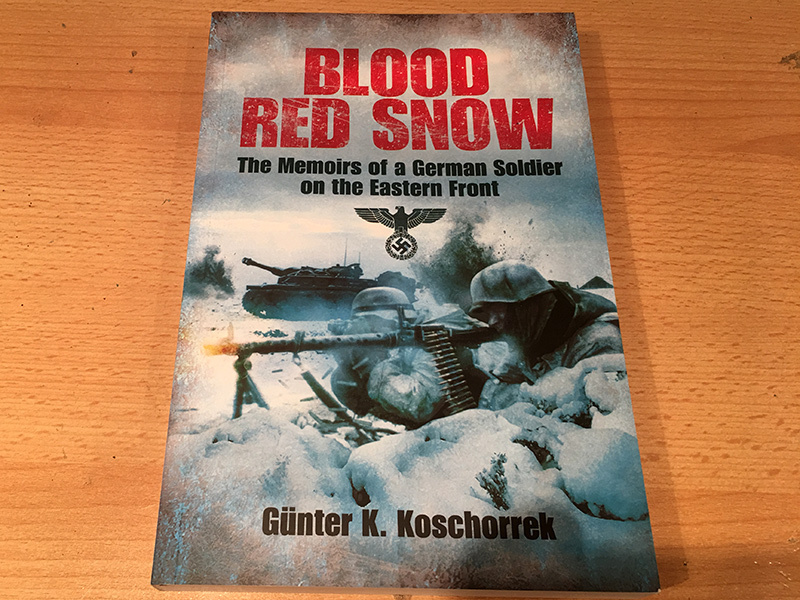 I walked away with a copy of “Blood Red Snow“, the memoirs of a German soldier on the Eastern Front. I don’t get much opportunity to read these days but I did start reading books again in bed before going to sleep instead of spending the time on my iPad, so I’ll probably try and read it then. 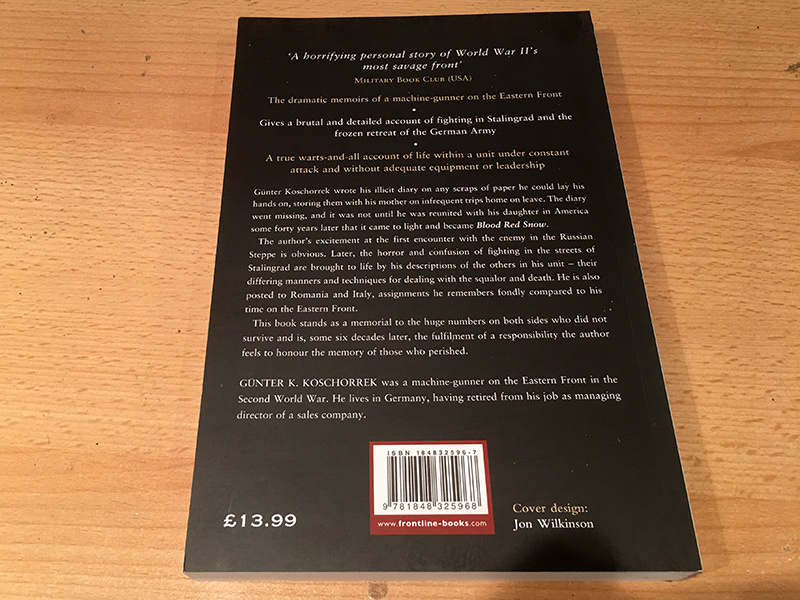 The book is by Gunter K. Koschorrek who kept a kind of diary through his war experiences which were rediscovered by him 40 years after the war ended. The author spent most of the war as a machine gunner in an infantry unit, although he doesn’t reveal the exact designation of the unit he served in. It covers his time on the Eastern Front including the battle of Stalingrad. The book includes 32 black and white photographs as well as several maps. I paid £5.00 for this £13.99 book.